I like to switch things up, and making things easier is something I continually strive for. (Strive?? hmmmm). 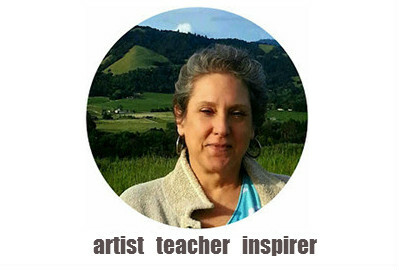 Years ago a dear friend said to me, “Hey Joanie, why make it easy when you can make it hard?” Well, if that wasn’t a kick in the head, and something that just hit bullseye to my soul, like a Zen koan. Ever since, I stop and contemplate my life and wonder how easy or hard am I actually making this? 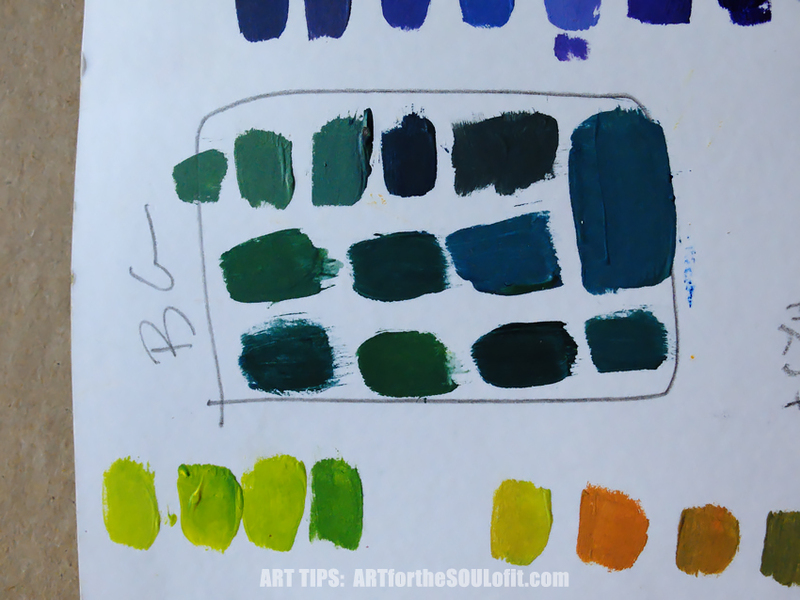 Just a week ago I shared all my acrylic painting tips with you as far as stay wet palettes, glass palettes, blending gels, etc. 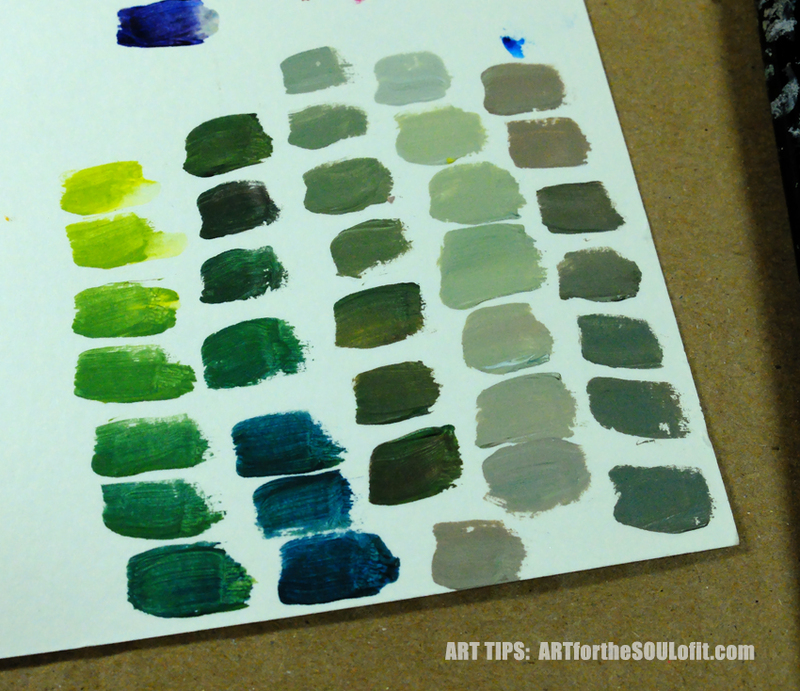 Now I would like to share about my switching to a limited palette as one way to simplify my process. And it was fun to come up with the pigments I chose. 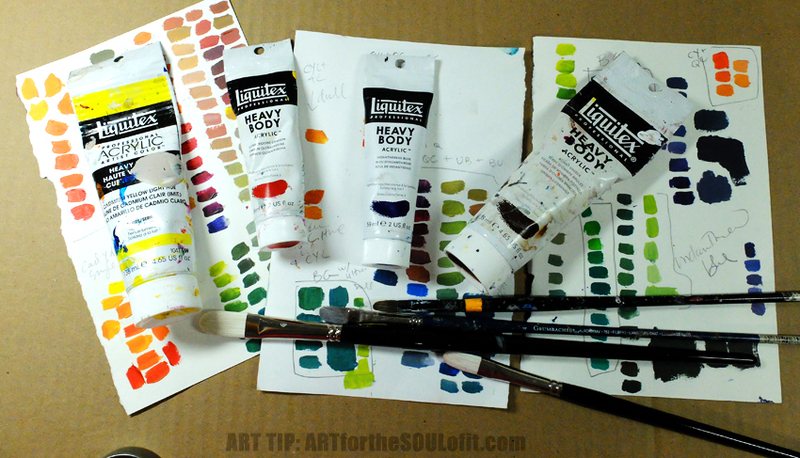 It could have been other three pigments, but these were my picks and how I came to it. The trick, I discovered is this. 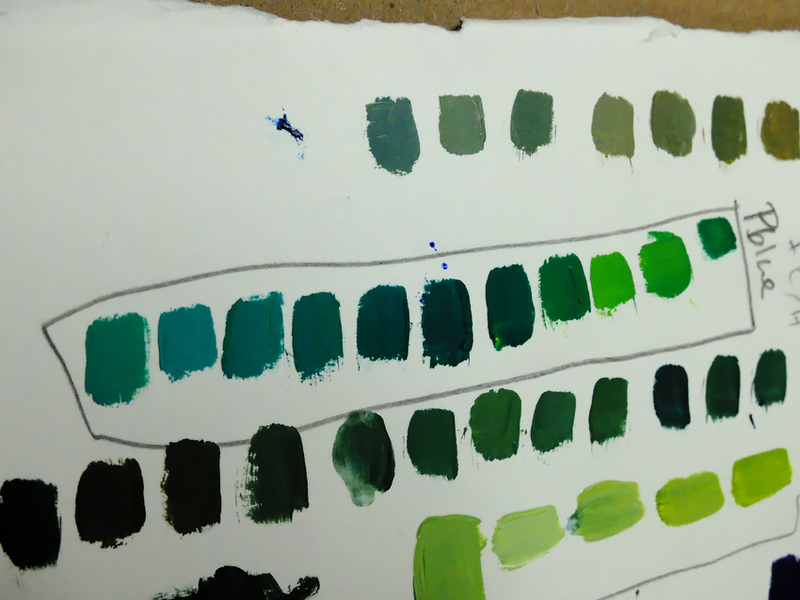 Mix your blue and yellow and see what kind of greens you get – like them? Then that’s a good two pigments for you. Mix your oranges from red and yellow, and if you get some nice vibrant oranges, you are good to go. 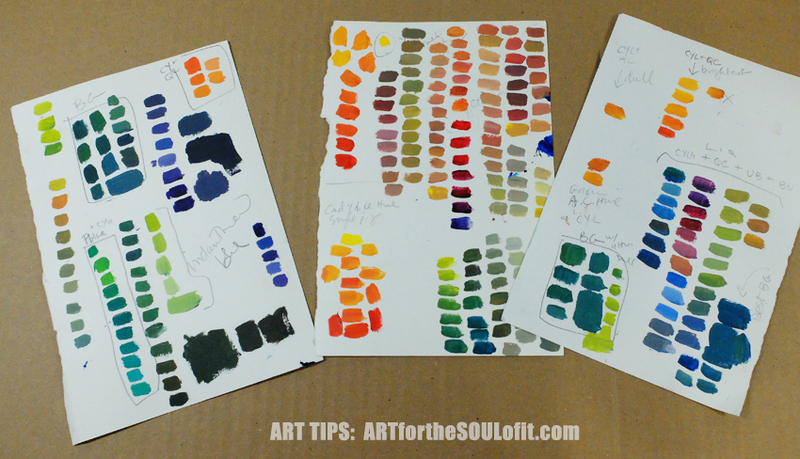 Same with purples, mix your red and blue, and if the purples suit your preferences, there it is. It’s really all about YOUR preferences. 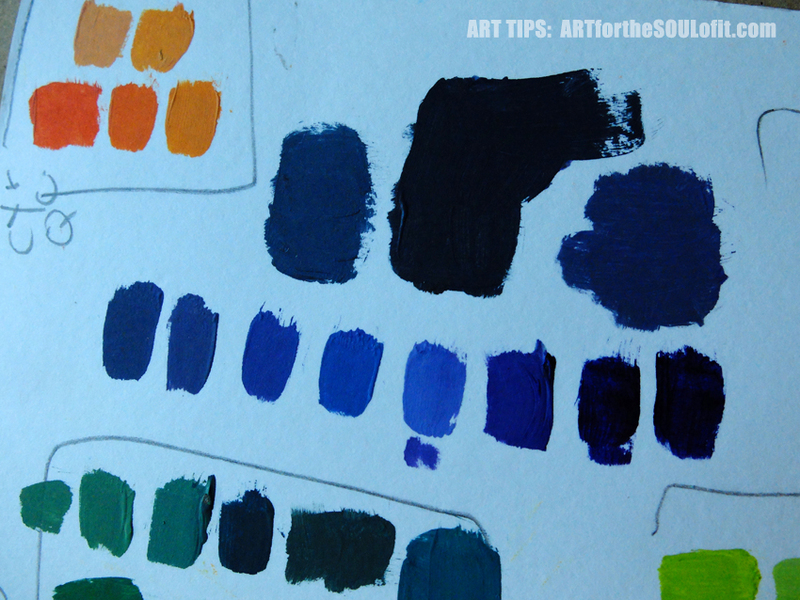 Color is so personal, like your artistic style. Discover what YOU love. And experiment. 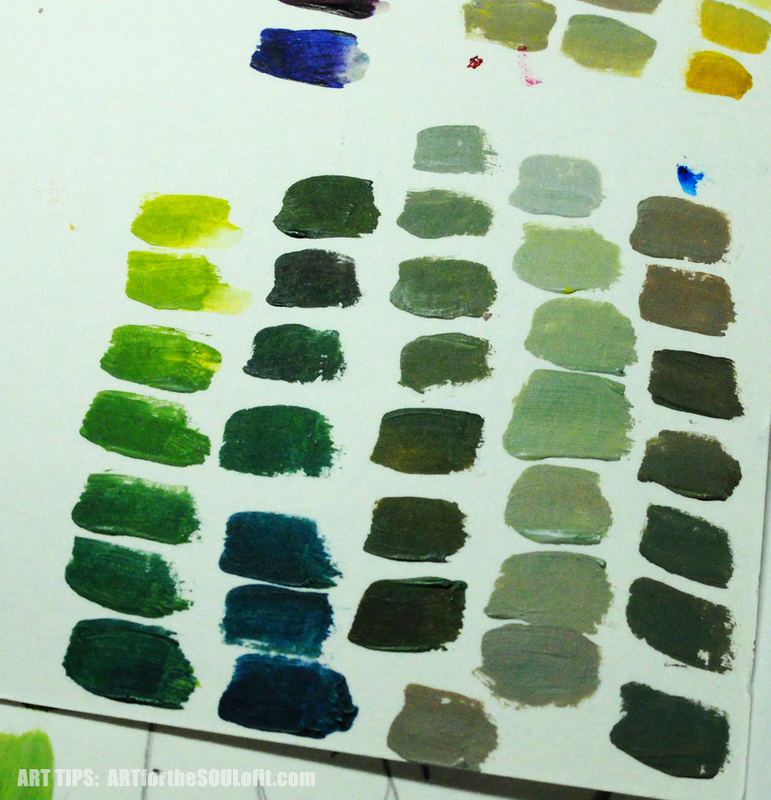 So for now, this is my limited limited palette! 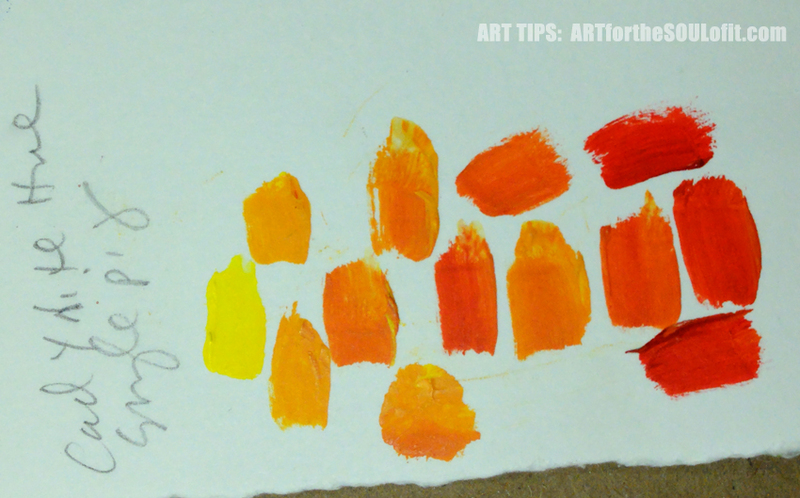 (I am still a very strong advocate of a warm and cool yellow, red and blue as I teach in my color class.) But like I said before, switching it up is good for the creative soul! And I am trying to simplify my life.